Dust/Water Protection IP67Â Â at closing all connector caps. Protected agaist temporary immersion up to 1m depth. Shock and vibration Designed to survive aÂ 2.5m natural fall onto concrete. For the payment, it varies from by different countries and regions! 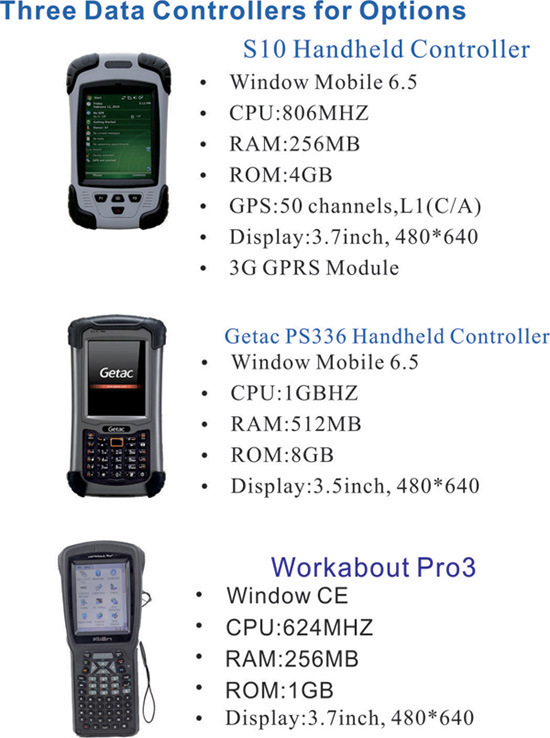 Â Â Â Â Â Geodex is one of the leading worldwide provider of high precision Geographic Surveying & Mapping Equipment, our main products includes RTK GPS, handheld GPS, Total Station, theodolites, automatic levels, laser level and so on. 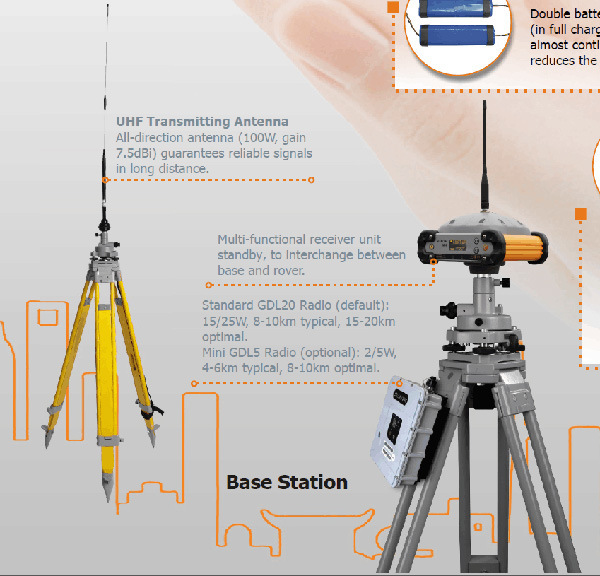 Â Â Â Â Â Â These kinds of products are widely used for high precision measurement, surveying &Â mapping works, such as land &Â housing management, building, road, railway &Â city infrastructure construction, Topographic, Cadastral, monitoring and mining, hydro &Â marine surveying projects. Â Â Â Â Â Â Geodex's main customers are geographic surveying information departments and construction companies, its products are also sold to Colleague &Â University for teaching uses. Â Â Â Â Â Â Geodex sells products to many different countries. It has aÂ high market reputation because it not only provides high quality products, but also excellent customer &Â technical supports. Â Â Â Â Â Â Make AÂ Difference by Delivering Surveying Equipment to All Over the World, Our mission is to help our clients to be more competitive and achieve more business success. Â Â Â Â Â Â Geodex has excellent performance in providing Oversea Transportation Solutions. Goods would be arranged to send by Express Courier door-to-door delivery service like DHL, Fedex, UPS, TNT and so on or General Air Cargo Service from airport to airport, shipment by ocean (boat), by truck via land transport or special line service forwarder agent appointed by buyers. 1) We provide not only high cost-efficiency surveying instruments. 2) but also professional surveying solutions and strong technical supports including maintenance &Â parts service. 3) Make sure Quality Verified &Â recalibrated before each shipment. 4) Fast Delivery, stocked in Guangzhou. 5) Professional Export &Â Import Service. 6) One-year warranty period of surveying equipments.